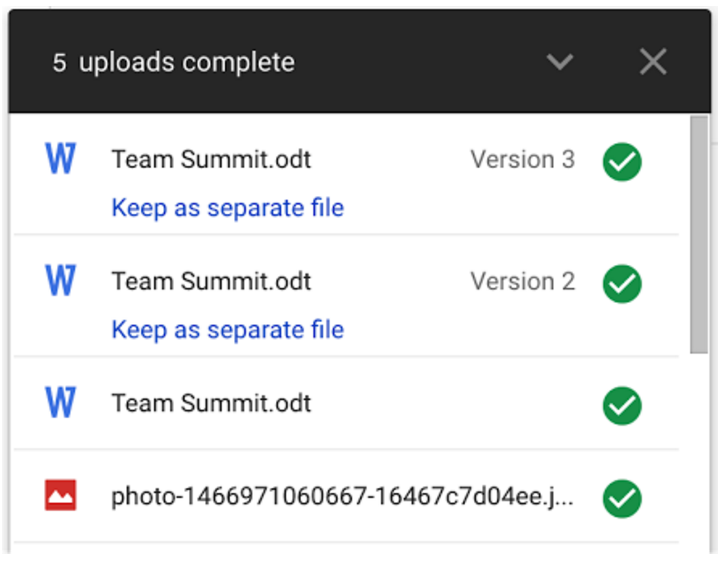 Once launched, when users upload files that have the same filename as an existing file, they’ll be deduplicated, and the old file will be in revision history. This is so that if any mistakes are made, users can get back to the previous version. Similarly, uploaded folders will be merged with folders of the same name. To prevent the files from being deduplicated, click on “Keep as separate file” once it’s been uploaded. Available on the web today for Rapid release users, we hope you enjoy the simpler way to update your files. A common use case for Google Drive users is to download a file from their Drive to modify it locally, and then to re-upload the new version. In the past, this would result in duplicate files (the original and the new one), and users would have trouble finding the latest version. That’s why we’re introducing a change in Drive to deduplicate files which were uploaded in this way.